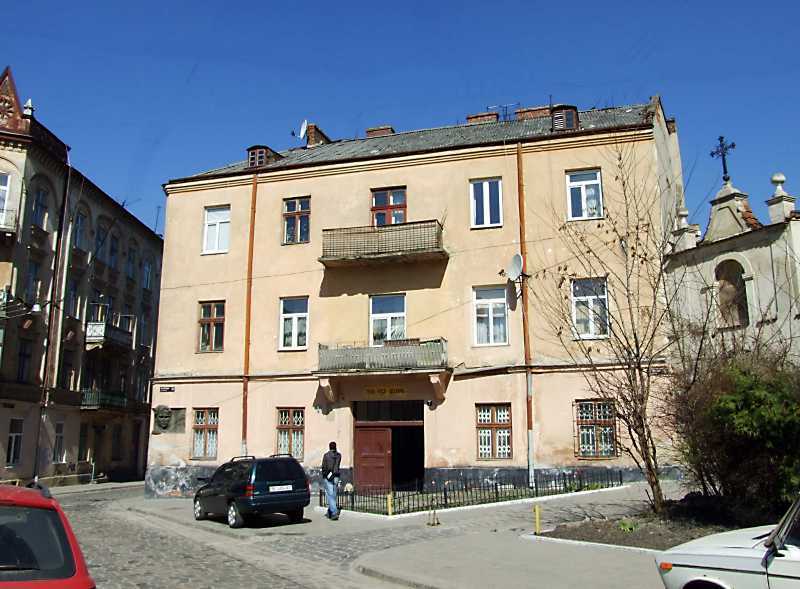 The house on the former Benedictine square (present address: Lviv, Vichova str., 1) Ivan Franko hired an apartment in 1876 – 1877 years. This informs memorial plaque. Franko was arrested in this house March 5, 1877.